Hello it’s been a while since we last wrote a blog so I (Sam) decided it would be good to share with you all some information about the Cinnamon Trust. Now whilst some of you might know about the Cinnamon Trust (and no it’ s not some fan club for the spice cinnamon), some of you like me, might not have heard about it. Whilst out for lunch on Sunday with some of the Mum’s from my little boys’s school one of the Mum’s was telling us all about the little dog Alfie who she looks after one or two days a week for an elderly lady who lives locally. She loves her Alfie to bits as he has always been her dog but she is not keeping so well and isn’t able to take him the walks that she used to. Angela takes Alfie on a Saturday for the whole day and takes him a big walk up the woods and then back to her house to play with her son in the garden. They absolutely love him and it suits them perfectly as they would not be able to look after a dog full time due to work commitments etc. Genius idea! The Cinnamon Trust are the only specialist national charity for people in their last years and their much loved, much NEEDED companion animals. It merges the gap to allow owners to still keep their pet, by giving them piece of mind whilst providing the pet with the love, care and safety they deserve. When the time comes and staying at home is no longer an option the Pet Friendly Care Home Register lists care homes and retirement homes who are happy to accept pet residents. Also when plans are put in place in advance the trust will take on life time care of the bereaved pet. This is a huge weight off elderly pet owners minds and something that I think everyone should know about. I’m sure we might all know someone who is elderly but their dog or cat is their companion and friend and the thought of them not being there would leave them lonely and lacking a purpose. As we know pets are constant companions and have the ability to bring happiness and laughter and lift depression. Urgent Appeals! Volunteers needed! Follow the link to find out if there is maybe a pet in your area who needs help. 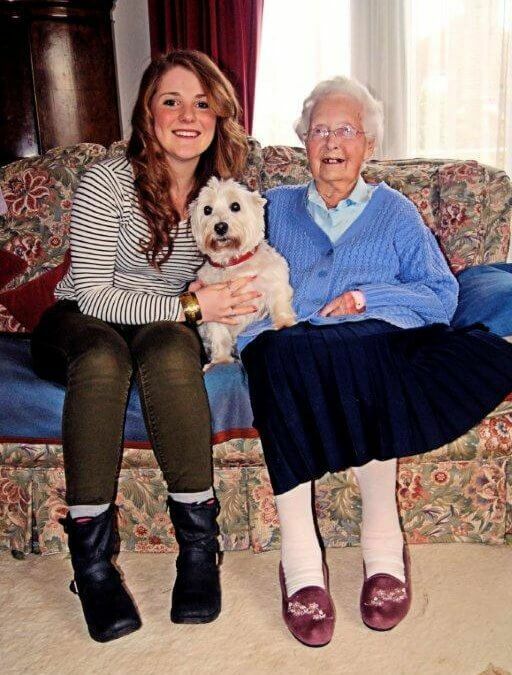 The Cinnamon Trust – The National Charity for the elderly, the terminally ill and their pets.